Join Turners Seafood for our annual gathering of the one and only Julie Nolan Show! 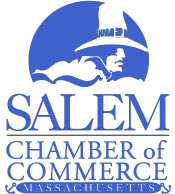 Enjoy a great night out in their historic event space in Salem, Massachusetts. Cocktail hour begins at 6pm followed by dinner in the ballroom at 7. End the night with laughs and a show by Julie Nolan all for a great cause. Proceeds will benefit Hopeful Journey's, a school for children on the spectrum of autism and developmental disabilities. For more information and to purchase tickets, please click here. Tickets are $60, not including tax.